Ophthalmic Imaging supports all sub specialties in helping to measure, diagnose, monitor and treat patients' eye conditions. The Ophthalmic Imaging Department supports all sub specialties within Ophthalmology by carrying out a number of different tests which are used to help measure, diagnose, monitor and treat patients’ eye conditions. It is a busy department where we see many new patients in addition to monitoring patients with long term eye conditions. Fluorescein Angiography (FFA) and Indocyanine Green Angiography (ICG) – Angiographic tests are used to measure the blood flow through the eye. A dye is injected into a vein in your arm and its progress through the vessels of the eye is recorded using a retinal camera. Your pupil is dilated to enable a better image of the eye. The digital images that are produced can then be assessed for any abnormalities. Optical Coherence Tomography – this is a non-invasive test that scans the tissues of your eye and records any unusual changes. Your pupil will need to be dilated for this test. Colour Fundus Imaging, Slit Lamp Imaging and Clinical Photography – these forms of imaging help to monitor and document treatment and provide a consistent record of care. All are non-invasive procedures; some will require your pupil to be dilated. Humphreys Visual Fields and Goldmann bowl perimetry – visual field testing can lead to early detection of an eye condition and is particularly effective in the detection and monitoring of Glaucoma. Goldmann bowl perimetry is used for neurological testing and establishing the extent of visual defects. Goldmann Applanation Tonometry – this is the gold standard for the measurement of intraocular pressure. 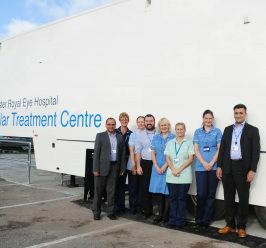 The department runs many clinics to provide this extensive support service across the Eye Hospital. 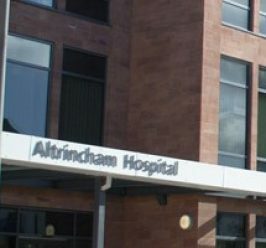 It is run as an outpatient service, where you will be looked after by one of the hospital’s Ophthalmic Science Practitioners, who will explain and perform the tests that have been recommended for you. Your results will be assessed by the specialist clinician looking after you. In some cases this is done on the day, however, we also run a number of outpatient assessment clinics whereby we carry out a series of tests, which are assessed at a later date. 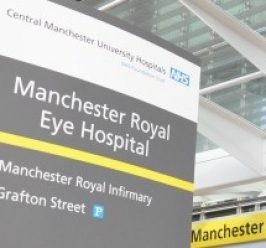 The Department is located on the ground floor of Manchester Royal Eye Hospital across clinics D, E, G and on level 1 in clinic J. From the entrance of the Eye Hospital, walk past main reception and the clinics on the ground floor are labelled. Please take the lift or stairs up one floor, clinic J is signposted from there.